I’m not big on decanting as most reds are already smooth enough for my taste. However I made an exception for this wine – when first opened, it felt tight and hard. Such is the nature of this grape from cool climates. 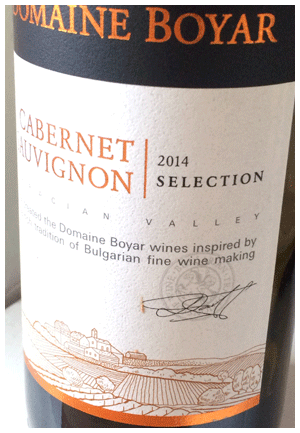 I gave Boyer’s wine lots of air, decanting several times, and the resulting wine took on the fruity, refreshing nature of Cabernets from the north of Italy. Rustic, taverna wine that’s a good wash-down for everyday foods. Something to explore when you are in the mood to take a break from the predictable niceness of Chile, California or Australia.